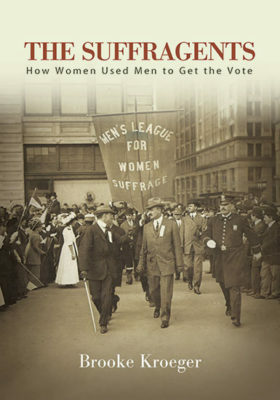 The NYU Center for the Humanities hosts a panel discussion with author and New York Times columnist Gail Collins, Christoph Irmscher (Max Eastman: A Life), and Brooke Kroeger, (The Suffragents: How Women Used Men to Get the Vote), an historical look at when, how, and why modern men have engaged with women's rights. "How NYC Women Got the Suffrage And What They Did With It"
One hundred years ago — nearly to the day — New York granted women the right to vote. Two years later, after decades of struggle, it became national law. Why did earlier campaigns fail? What role did NYC play in realizing this old dream? And what happened after? With authors Lauren Santangelo, Susan Goodier, and Brooke Kroeger and a preview of Dawn Scibilia's documentary in progress on the decades between first and second wave feminism, in which New York played a special role..